Located in Massa, Hotel Tiffany is within a 15-minute drive of Forte dei Marmi Beach and Piazza Mercurio. This hotel is 3.5 mi (5.6 km) from Cathedral of Massa and 3.7 mi (6 km) from Malaspina Castle. This charming hotel is in Versilia. There are a total of 25 bedrooms on the premises. Apart from the services and amenities offered, guests can take advantage of the wired and wireless Internet connexion available on the premises. This accommodation offers 24-hour reception for guests' convenience. Hotel Villa Tiziana provides cots on request for little children. Guests needn't leave their small pets behind during their stay at Hotel Villa Tiziana. There is a car park. Hotel Villa Tiziana follows environmentally sustainable practices. Some services may be payable. Enjoy seafood at Olivo, a poolside restaurant where you can enjoy drinks at the bar, take in the garden view, and even dine alfresco. You can also stay in and take advantage of the room service (during limited hours). Meet other guests and eat at the complimentary reception. A complimentary buffet breakfast is served daily from 8 AM to 10:30 AM. Take in the views from a terrace and a garden and make use of amenities such as complimentary wireless Internet access. Additional amenities at this hotel include concierge services and babysitting/childcare (surcharge). Make yourself at home in one of the 20 air-conditioned rooms featuring refrigerators and flat-screen televisions. Complimentary wireless Internet access keeps you connected, and digital programming is available for your entertainment. Private bathrooms with showers feature complimentary toiletries and bidets. Conveniences include safes and desks, as well as phones with free local calls. This charming hotel can be found in Versilia. There are a total of 33 bedrooms at Tirreno. Customers will not be bothered during their stay, as this is not a pet-friendly establishment. 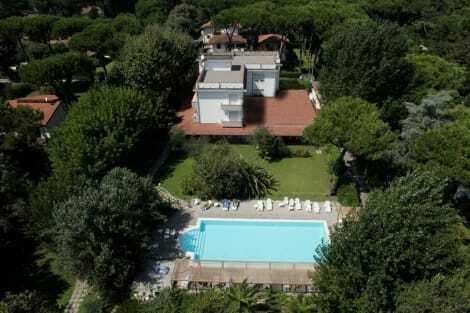 This charming Hotel can be found in Marina di Massa, 8 km far from Forte dei Marmi. There are a total of 70 guests rooms on the premises. Internet connection (wired and wireless) is provided in common areas for those needing to keep connected. Hotel Excelsior offers a 24-hour reception service, so that guests' needs will be fully met at any time of the day or night. Pets are allowed on the premises, an extra fee is request. lastminute.com has a fantastic range of hotels in Marina Di Massa, with everything from cheap hotels to luxurious five star accommodation available. We like to live up to our last minute name so remember you can book any one of our excellent Marina Di Massa hotels up until midnight and stay the same night.